A romantic comedy and a satire on the business of marketing movies, America's Sweethearts has enough talent to amble along, but not enough zest to rise above genre conventions. 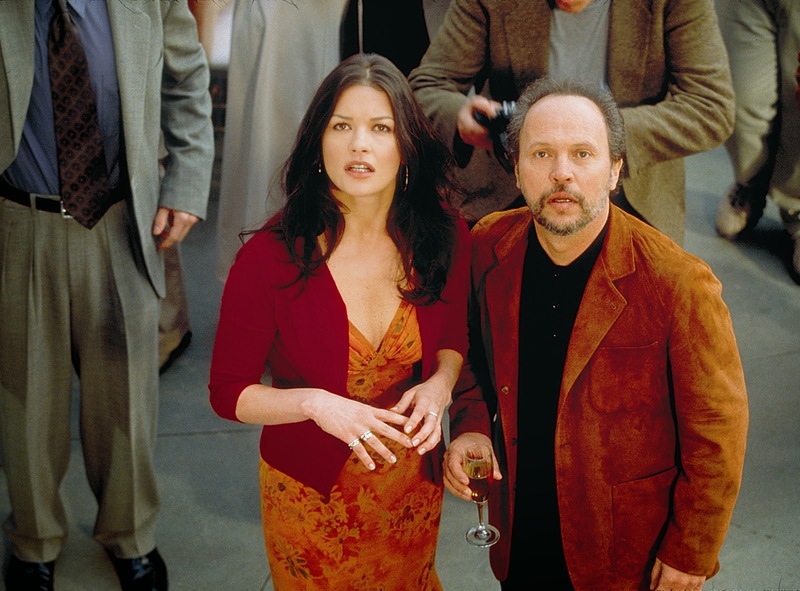 Publicist Lee Phillips (Billy Crystal) is tasked by studio head Dave Kingman (Stanley Tucci) to organize and host a successful junket for the latest film starring Gwen Harrison (Catherine Zeta-Jones) and Eddie Thomas (John Cusack). Frequent co-stars, married to each other, and fan favourites, Gwen and Eddie can longer stand each other, the relationship ruptured by Gwen taking on the hunky Hector (Hank Azaria) as a lover, leaving Eddie an emotional wreck. 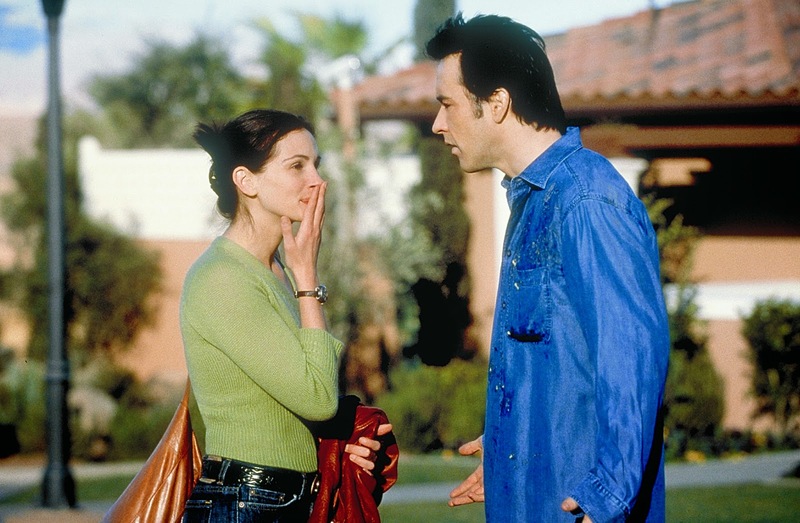 Lee connects with Gwen's sister and main handler Kiki (Julia Roberts) to try and stage a reconciliation to salvage the film. Matters are not helped by eccentric director Hal Weidmann (Christopher Walken) refusing to submit a copy of the new movie until the last minute, meaning that Lee has to organize the junket and occupy the press with no certainty of having a product to show them. With Kiki's help Lee uses every trick in the book to revive interest in the Gwen and Eddie collaboration. Both attend the media launch at a hotel in the Nevada desert, leading to unexpected romantic complications that threaten to derail Lee's intentions, while Weidmann's late appearance adds an unexpected dose of chaos. Directed by Joe Roth with Billy Crystal co-producing and co-writing, America's Sweethearts offers a steady level of enjoyment, an excellent cast and many good laughs. It is also broadly predictable, offers little depth and hardly any meaningful character evolution. There is a vague old fashioned whiff about the film, a sense of throwback to the screwball era when banter trumped irony. The film's brightest moments are courtesy of the secondary characters. Some of the best laughs come courtesy of Gwen's dog, who effortlessly steals the three scenes that he's in. In a brief role, Christopher Walken as the conceited Hal Weidmann, a throwback to the mad genius era of directors, is also delicious. The character of Hector is over-the-top funny, and borders on something out of a cartoon. Less interesting and much more familiar are the battles of the heart between Eddie, Gwen and Kiki, and overall there is more satire and comedy than romance in America's Sweethearts. Crystal gives his own Lee Phillips some good lines, the film offering a barrage of zingers targeting the depths to which publicists will go to promote a movie or obfuscate its lack of relevance. Outright lies, stroking star egos, and strategic leaks to the press are all in a day's work for Lee, as all publicity is good publicity to generate the necessary buzz. With no movie to offer, Lee puts the junk in junket and feeds the media a diet of celebrity gossip involving Eddie and Gwen. Hardly anyone notices that the movie event has no movie. Meanwhile Cusack and Zeta-Jones play up stereotypes about celebrities primarily concerned with nursing their egos. Eddie is deeply damaged by Gwen's betrayal, spending months in recovery with faux wellness guru (Alan Arkin) serving up useless platitudes. Zeta-Jones is perfect as the star who genuinely, deeply, understands that the world and the sun revolve around her. Julia Roberts delivers the most engaging performance, Kiki having recently lost a lot of weight, growing tired of being bossed by her sister, and feeling empowered to pursue a long-term crush on the one man she thought she could never have. America's Sweethearts is lighthearted fun sparked by pointed commentary about the film industry, with a stellar cast providing an attractive gloss of quality. I usually am not a fan of Julia Roberts's rom-coms, but America's sweethearts is my favourite of hers. A movie about a movie that doesn't exist...makes you think! definitely! but it was also so unlike her other rom-coms of the past, as this one operated as a screwball comedy. that and the script by billy crystal was witty and it put a smile on my face. although that flashback scene of Julia Roberts's Kiki as a nerdy girl made me laugh!